Dede said: "We have a co-presidency system, we have established our democratic administration under this system, and women are 50 percent of the administration members (in total we are 132). All the peoples in Manbij are represented in a proportionally way". This means, Dede said, that the Administration is made up of 71 representatives for the Arab people, 41 for the Kurdish people, 10 for the Turkmen, 8 for the Circassian and 1 for the Armenian. "Look, in Manbij there is also one Armenian family and yet they have 1 representative in the Administration". Emel Dede is one of the Manbij Turkmen women who lived under the Syrian regime first, the Free Syrian Army and the DAESH. She has been working for two years now for her future and the future of Manbij. She talked to ANF about this. You have lived under the Baath regime, the FSA and DAESH. Could you tell us about these different periods? We were deprived of our rights during the Baath period. The state and government were in the hands of a small elite. We are a rich country; there are underground resources and agriculture. Syria is also a rich country in ethnic terms. Arab, Turkmen, Kurdish, Circassian, Assyrian, Syriac, Armenian... Almost all Middle Eastern peoples live in Syria. The Syrian people could not benefit from these resources during the Baath period. Organizations, institutions, schools; everything was at the service of the regime. After the regime, the Free Syrian Army came. As citizens of Manbij, we had only a few institutions and associations. They set up security check-points, they were getting money, harassing people, kidnapping known wealthy people and asking for money, etc. Many bad things have happened. The DAESH occupation was the worst time for Manbij. The DAESH system, which everyone knows, has been implemented. They did all sort of things, beheading, throwing people from buildings, harassed, killed. It was a terrible, terrible time. The Manbij Military Council, the SDF (Syrian Democratic Forces), the YPG/YPJ (People and Women's Defense Units) launched the operation to free Manbij on 1 June 2016. The people had called for it. Indeed, people helped the liberation forces throughout the whole operation. Before the operation began, both the Manbij Military Council and the Manbij Civil Council were established in Sirin. As the Military Council advanced, the Council followed, area after area we were liberating our city.They also provided aid to people such as water, food, shelter, medicines. The SDF liberated Manbij pushed by the strength of the people. Following the liberation of Manbij with the same strength, mine clearing work began. In a short period of 2 months, the area was largely cleared of the mines left by DAESH. How is life and governance organized in Manbij? Four, five months after the liberation of our city, we have reorganized ourselves as the Civil Council. We have established legislative and executive assemblies. We declared the Manbij Democratic Civil Administration. Then we created our committees. Villages are quite numerous. Communes were established in the town center and in the villages. The communes formed their own committees according to their own needs. As a Manbij citizen, one has really to govern himself, organize his life, despite the huge needs and hunger. We have seen all forms of government imposed on us. There was no democracy in any of them, and we had already experienced the DAESH fascism. We have organized our own life and administration system with great hope and devotion as we have given our blood to liberate Manbij. A safe and secure environment has developed. Women reclaimed their rights and began to play roles in administration as well as in all aspects of life. 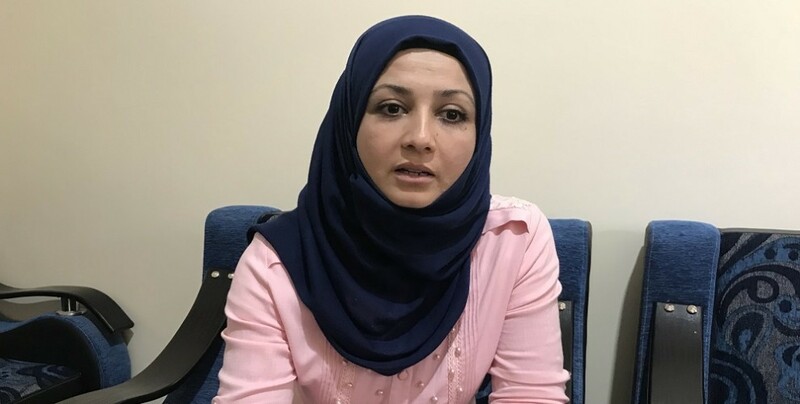 Under this system, we got our place thanks to the philosophy and ideas of the Leader [she refers to Abdullah Ocalan's Democratic Confederalism proposal]. We, as Manbij women, know well: our father, brother, no one had given us our rights. As women, we took our place in the administration, in the military defense, in politics, in public order, in economic area, in traffic control. The right to work is for the whole society, not just women. Everyone has the right to take part in the administration and speak out. We all worked together. We put our will and our desire together and we got Manbij back on its feet again. We have Manbij Civil Administration for less than two years, but in this short time we have done things that big states cannot do. In Manbij, stability, peace, politics, services, in short, life has improved a lot, it is more democratic and more liberal. How is the structure and organization of the Manbij Democratic Civil Administration now? There is a co-chair system. Women represent 50 percent of the administration members, we are 132 in total. Manbij has never lived with such a democratic system. The Turkish state has threatened Manbij since the liberation day. How do you assess the meeting the US and Turkey had on 4 June in which they reached an agreement on Manbij? Coalition Forces helped us after we put Manbij back on its feet. We do not deny this help, but as Manbij people we do not accept this agreement. Manbij has been liberated with the blood of Manbij women and men. Today Manbij institutions and organizations are being run by the people of Manbij. When you tell your opinion to the US and Coalition officials, what's the reaction? We tell them the same: 'If there is a deal we have to be part of it'. They also know that there is stability in Manbij. We have repeatedly told them that the Manbij people do not want the Turkish state and the mercenaries here in Manbij. We gave examples: look at Jarablus, or al-Bab. How did Turkey bring stability there? Anti-democratic practices, theft, extortion, massacres are happening there. We asked if there was a written agreement with the Turkish state on Manbij and they said there is no such thing. Turkish soldiers and mercenaries would not enter Manbij. Turkish soldiers would patrol on the other side of the Sajur river. There is one thing though that makes us think: the Coalition officials only mean DAESH when they say, 'We will not allow terrorists to enter here again'. However, we know that the architect of DAESH is actually Turkey. When DAESH was in Manbij Turkey was not worried, it did not think its borders were not safe. It has been after Manbij was freed that Turkey has begun to feel uneasy and to talk about security. Of course we have projects for the upcoming period. We built and developed our system. We got results. In the upcoming period, we are considering some changes and transformations in our institutions and organizations. We aim to improve our schools and teachers preparation. We will make futher efforts to organize our services better in accordance with our circumstances. We have developed our economy. But we will not stop. Economy, women, defense, service, youth etc. every area will see new and more concrete projects.